Don't Ever Visit Roadside Zoos. Here's Why. 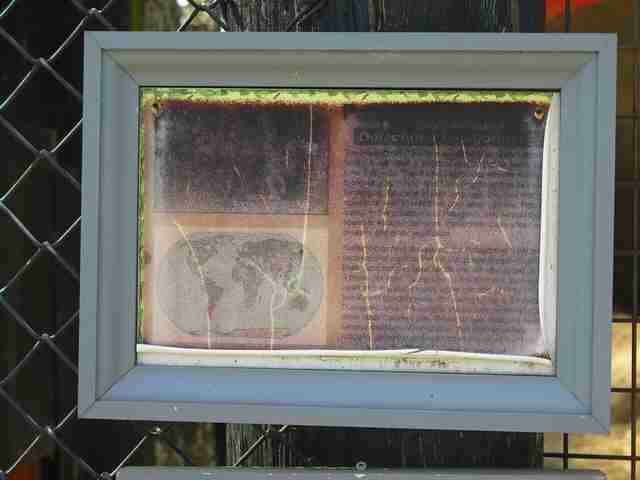 Situated somewhere between Boston and the Berkshires, in the town of Ludlow, Massachusetts, is a run-down, urine-stenched roadside facility called Lupa Zoo. 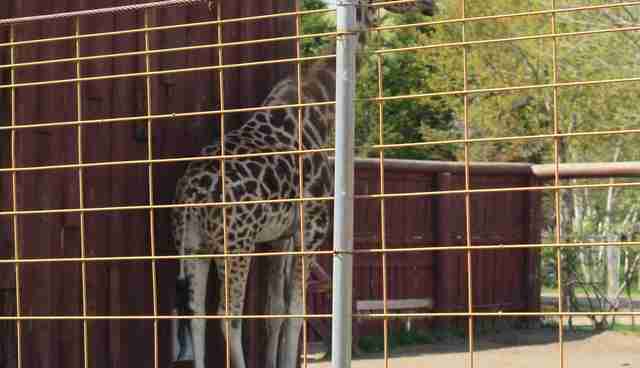 Lupa Zoo could fairly be described as a troubled zoo. It has had at least 15 inspections by the USDA (tasked with overseeing licensed zoos in the country) since 2005, and in only one of those instances that The Dodo could find did it not receive a USDA citation. 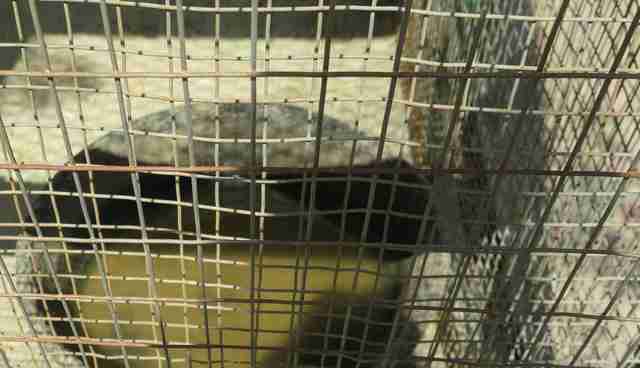 The zoo - which The Dodo visited unannounced - has been slapped for a number of reasons including not providing adequate veterinary care, not providing clean and sanitary water receptacles and for letting animal feed get caked in mud. It has been cited for having metal spikes, nails and fiberglass insulation inside or exposed in the animal enclosures and for failing to keep updated medical, birth or death records about the animals. 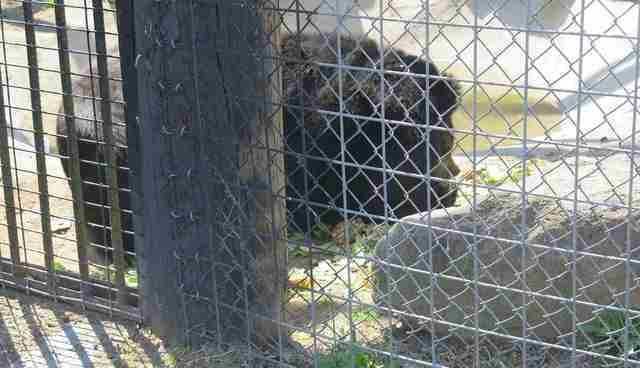 Since just 2012, in fact, the Lupa Zoo has been cited for 13 noncompliance violations alone. But that doesn't necessarily translate into the action some advocates would prefer to see take place: the zoo's shutdown. Richard Farinato, former captive wildlife specialist at The Humane Society of the United States (HSUS) and a decades-long advocate who has traveled to zoos around the globe, says the Lupa Zoo is "as bad as anything I've ever seen in all the years that I've been doing this work." But, he maintains, the federal laws and regulations in this country, including the Animal Welfare Act (AWA), are too weak to effectively protect zoo animals. "The real problem is that we don't have federal regulation that has any teeth in it. It is too general - and rarely enforced," he says. So, the Lupa Zoo remains open to the public. This doesn't come as a surprise to Lisa Wathne, who is the current captive wildlife specialist at HSUS. "Lupa Zoo looks like hundreds of other roadside zoos across the country - basically a collection of animals in small, often dirty cages, in completely unnatural environments," she says. "I wish I could say this is unusual, but it just isn't." Wathne points out that under the Animal Welfare Act (AWA), the living conditions for animals at USDA-regulated zoos are set at a bare minimum: "The laws that exist to protect animals or to regulate zoos like this are so weak that they basically rubber-stamp animal cruelty. The AWA is incredibly weak. It basically only requires that animals have enough food and water to stay alive and enough space, basically, to turn around, stand up and lay down." Wathne: "This is a bintarong who is looking for water. Obviously his water is filthy. His mouth is open. It looks like he's looking to you which makes me think he is used to begging for food. It is sad photo." Wathne: "This is heartbreaking. From what is visible in this photo, obviously the water in the pool looks filthy. It is hard to say for sure, but I would speculate the bear looks obese. Also, it is a very small area for one bear, let alone three. Bears are a species that suffer horribly in captivity - even accredited zoos with knowledgeable staff and budgets have a hard time providing the environment and enrichment that bears need in order to stay sane." Furthermore, she notes that Asiatic bears need and want water for bathing and cooling: "[This pool] appears to be insufficient for drinking or bathing since it is so dirty and small." Farinato: "There is no excuse for that. That is algae, filth and built-up scum - and if you tilted them over you would find slimy coating." 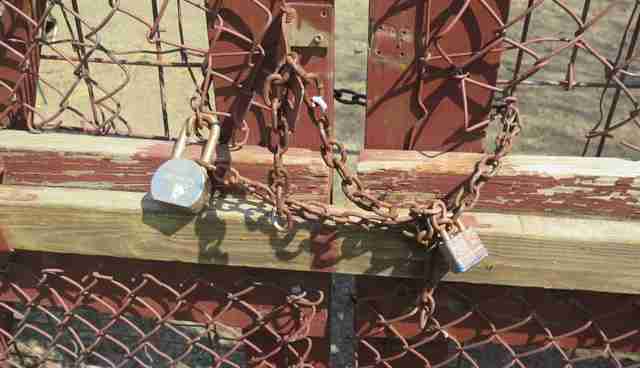 Farinato: "It looks like a dungeon: a chain and padlock. There is no thought of the needs of the animals or the needs of people working those enclosures." 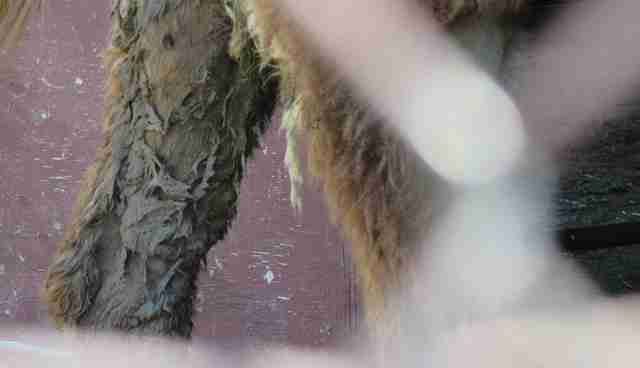 Farinato: "This camel's back leg is stained with very loose stool or diarrhea. It could have been there days or a week." Wathne: "This is so common ... the condition of these signs is a clear indication they are not at all committed to education or conservation." Wathne: "The yak's skin looks very problematic. That isn't normal. It is thickened on his rump. It is crusty. 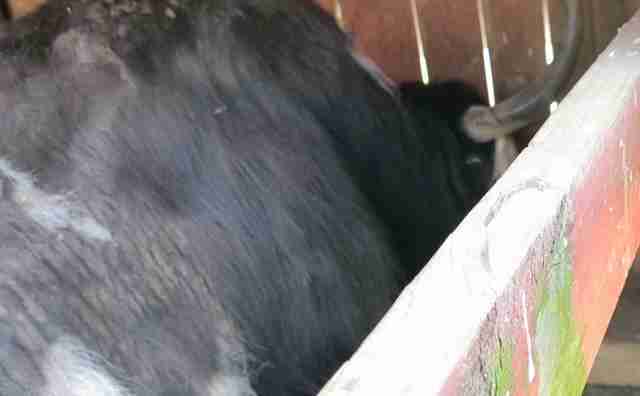 Also this yak is alone, and these are herd animals." Uldis Roze, Ph.D., professor emeritus at Queens College at CUNY and author of "Porcupines: The Animal Answer Guide": "The porcupine's behavior is unusual because of the nervous pacing back and forth. Wild porcupines I have seen typically react to irritants by turning their backs and erecting the quills. They don't pace back and forth." Dr. Mark Pokras is a wildlife veterinarian at Tufts University's Cummings School of Veterinary Medicine. Pokras says he finds the breathing of the male ostrich "concerning": "It has a sort of open mouth, very deep breathing most of the time, and his trachea is wide open." Pokras also says he is surprised that the bird continues to sit on its sternum even as the reporter moved closer to the animal. 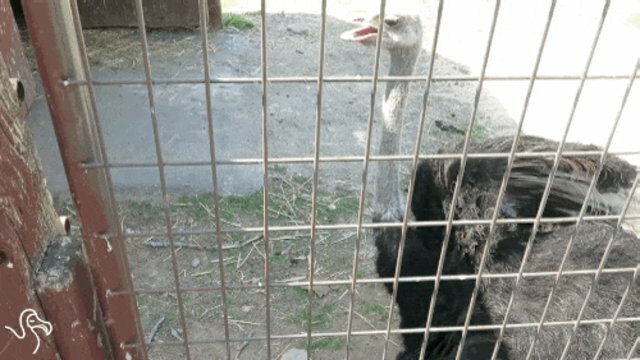 Pokras stresses he doesn't know the animal's medical history and he is unsure if the ostrich's bare back is due to molting (Farinato maintains the animal is not molting and his bare back is due to injury). The Dodo asked the Lupa Zoo to comment and answer questions about the conditions of its animals, but a response was not received at the time of publication. Inspecting roadside zoos - and then what? The Lupa Zoo - like all licensed roadside zoos in the U.S. - is regulated by the USDA. The USDA is tasked with enforcing the federal Animal Welfare Act. According to Lyndsay Cole, assistant director of public affairs at USDA's Animal and Plant Health Inspection Service (APHIS), there are 2,577 USDA-licensed exhibitors in the country. That number includes circuses, educational displays, animal acts, petting farms, wildlife parks and zoos. The USDA is not mandated to inspect these zoos annually. Instead, Cole explains, APHIS uses a risk-based system to determine minimum inspection requirements, and these inspections are often fueled by public complaint: "In addition to conducting unannounced compliance inspections of licensed and registered facilities, AC [animal care] personnel also perform inspections in response to legitimate concerns and complaints received from the public," reads the USDA website. Lupa was inspected on May 12 - four days after The Dodo's visit, in response to concerns filed by the reporter. The USDA inspection report is not available to the public until 21 days after it is finalized. Lupa has been inspected, in some cases, more than once per year since 2005 - which doesn't mean it's transformed itself into an appropriate home for wild animals. It has also never been fined by the USDA for any of its violations. As long as roadside zoos provide the very minimum needs for animals required by the AWA, they can continue operating, says Wathne: "The Lupa Zoo has been cited many years for many violations of the AWA but unfortunately nothing comes of that. Instead, it is a matter of the USDA inspecting the zoo, noting violations, telling a place they need to fix it and walking away. And if it isn't fixed, they just write it down again." Wathne says this cycle takes place year after year at facilities: Animals continue to suffer as repeated violations result in no meaningful action. And even if the USDA shuts down a zoo, explains Wathne, it doesn't necessarily translate into a "new" life for the animal in captivity. "In the few cases where the USDA has actually gone through the process of shutting down a zoo - which can take years - they don't confiscate the animals," she explains. 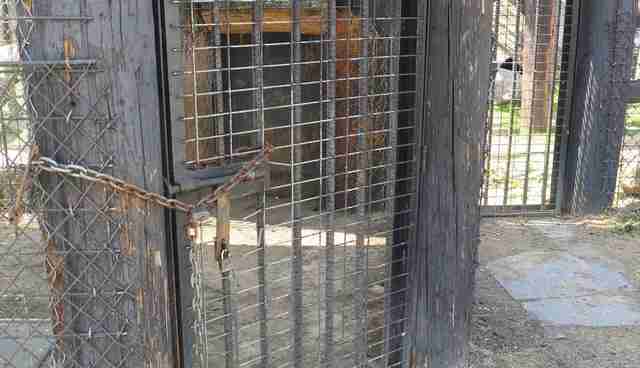 Instead, the animals languish as the owner's private pets or are given away to other roadside zoos. To review the history of license revocation at roadside zoos by the USDA, go here. Tanya Espinosa, public affairs specialist at the USDA-APHIS, explains the protocol further: "If a license is revoked, that doesn't mean that the animals are confiscated; the animals still belong to the owner. It means that the owner cannot conduct regulated activity. The owner may continue to keep the animals as private pets if their state allows them, or they may sell/transfer them to another location under a special authority." Espinosa points out that the USDA cannot decide what an owner does with animals he is no longer allowed to exhibit. Farinato believes that because there isn't an established facility for animals to be sent to if a zoo is shut down, the USDA rarely closes facilities: "If they walked in and said, 'We are closing you down,' there are few options. And euthanasia isn't an option because the public would lose their minds, even if it is the best for these poor creatures." In fact, the animals, says Farinato, almost never get out of the roadside zoo cycle: "There's simply no good ending for these animals." 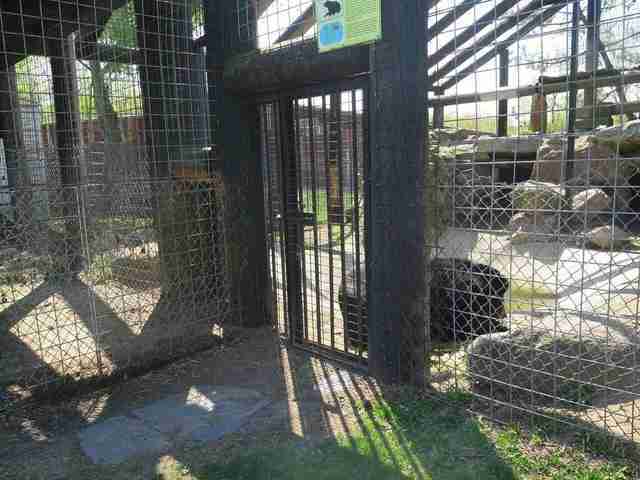 Photos of Lupa Zoo taken by The Dodo were also sent to the Massachusetts Society for the Prevention of Cruelty to Animals (MSPCA) for review. In response, Christine Allenberg, law enforcement officer for MSPCA, conducted an investigation on May 12 in tandem with the inspectors from the USDA. 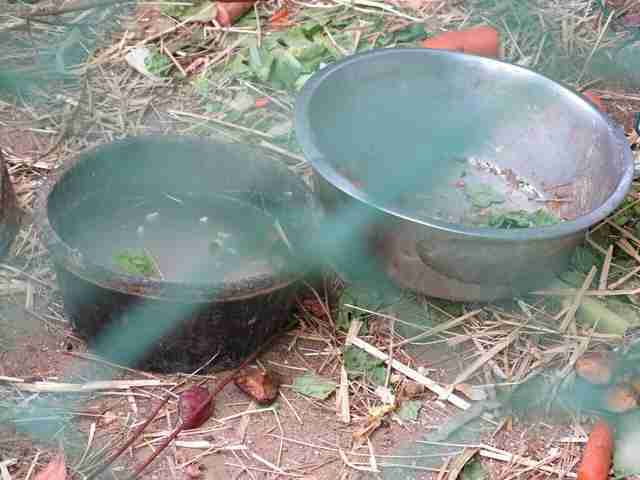 Allenberg told The Dodo she has visited the Lupa Zoo in an enforcement capacity on numerous occasions over many years. The role of the MSPCA, she explains, differs from that of the USDA: "Our only role with respect to zoos is to investigate cruelty complaints, when we receive them, pertaining to the state's animal cruelty statute, "which with respect to zoos only permit us to address violations related to insufficient shelter or the withholding of necessary medical care--which is limited to the treatment of physical injuries but does not include stress or emotional behaviors. " "We do not set," says Allenberg, "nor can we enforce, any guidelines related to emotional enrichment or ongoing wellness checkups of animals in zoos." This, she says, is the exclusive domain of the USDA. Allenberg said she did not find any cruelty statute violations with the Lupa Zoo on her recent visit. "We didn't find any blatant violation of the law. We try to educate people [owners]. We tell them 'You can do this or make this better,' or 'I would change this or I suggest you add that,' says Allenberg. "The Lupa Zoo has always been receptive to that." 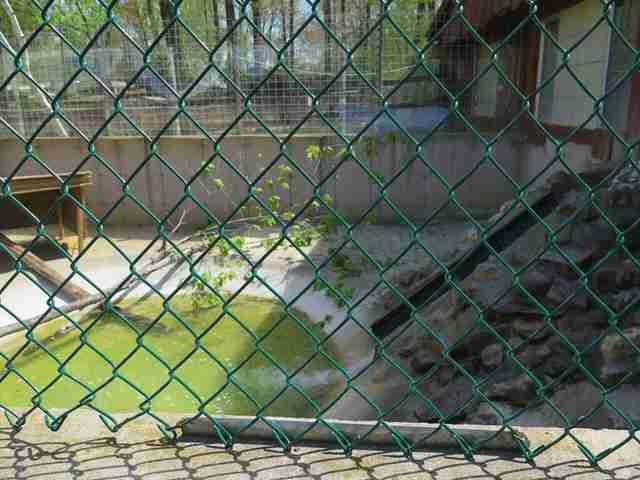 Allenberg wasn't concerned about the water in the otter pool or the bear enclosure. "There was no algae in the water. I didn't see that," she said, based on her visit. "Some of those pools, they do have a tint to them because they have a blueish green pool and that will tint a little bit." As for the porcupine's pacing, Allenberg says stereotypical behavior is common in caged animals but isn't reason to confiscate the animal. Allenberg says every season, the MSPCA receives about five or six complaints by the public about the Lupa Zoo. But, she says, "that isn't a lot." When asked why there might be a disagreement between her observations and the HSUS's Wathne and Farinato, Allenberg says, "My focus is to investigate cruelty complaints and determine if based on what I see there is a violation that can be prosecuted. In the case of Lupa Zoo most of the animals are older and they're not kept in the kind of enclosures that you and I might feel are appropriate for wild animals living in zoos. And it's very likely that their living conditions are contributing to the kind of emotional and stress-based behaviors that visitors have witnessed." "But," she continues, "this is not something that we can prosecute for, according to the law." She added that she talked to the USDA about a sore she spotted on a bear's rear end and confirmed he was being given medical care for it. Besides the USDA, says Farinato, the public does its part to allow roadside zoos like the Lupa Zoo to keep its doors open. Wathne echoes that sentiment: "These animals spend their whole lives deprived. And it is a mystery to me how people walk through these paces and don't recognize the suffering that is right in front of them." 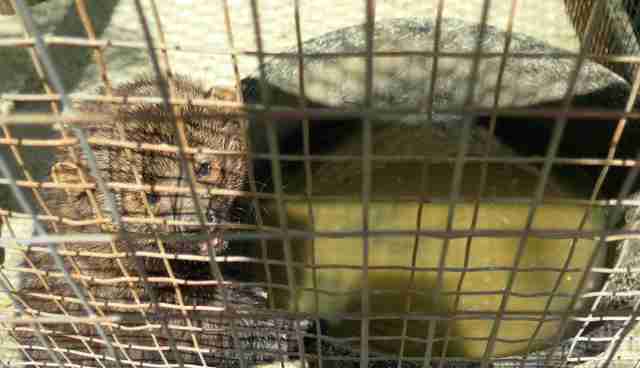 The MSPCA's Allenberg acknowledges this factor as well, but suggests the issue runs even deeper: "No one says they like to see an animal in a cage. But, actually, our society allows that." In fact, she says, "We demand it."